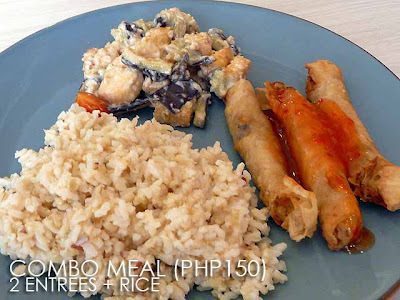 After discovering many vegetarian restaurants in Metro Manila, I can truly say that vegetarian food need not be bland. 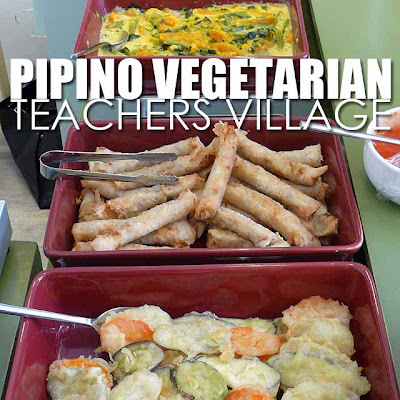 And the newly-opened Pipino Vegetarian pushes that statement forward. 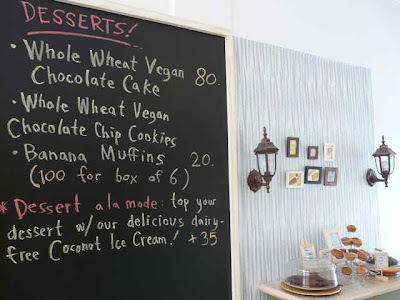 I was most definitely wowed by the vegetarian and vegan food they serve there. They don't have a fixed menu so the dishes are different everyday. You'd see them listed on the blackboard in the counter area. 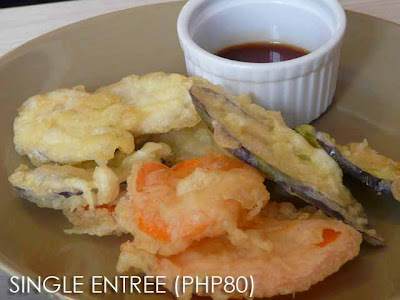 The regular entrees are Php80 for single serving. But you'll get a really good deal with their Combo Meal at Php150 which includes two entrees and brown rice. The day I was there, they had Gatang Sitaw and Kalabasa (string beans and squash with coconut milk), Tofu and Eggplant Miso, Lumpiang Shanghai (vegetarian spring rolls) and Taro Chips. I'm also giving a two thumbs up to their Vegan Lasagna which is really rich and flavorful. Who said pasta needs meat and eggs? For dessert, they have a lot of vegan offerings too. It's definitely worth a visit! We would like to invite you to try our NIGHT food delivery service. We have a unique concept of offering residents and night shift employees, good food, during odd hours.